Tea quotes can warm your soul, inspire you, or remind you of your most cherished tea memories. These quotes about tea can be used in so many ways – heartfelt additions to tea party invitations or as a special collection to give to a tea lover. If you have a favorite place to drink tea in your home, stenciling these tea sayings on a wall would be a touching momento. 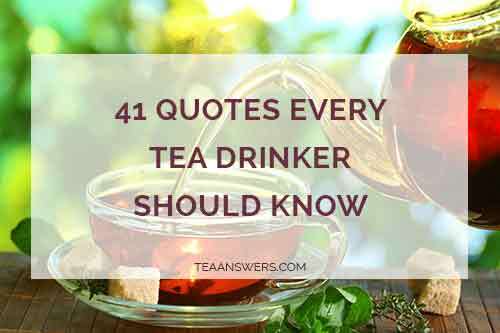 Read through this collection of tea quotations. Whether you’re looking for quotes about tea for a special occasion or for your personal discovery, you’re sure to find one that will touch your soul or lift your spirits.